UPDATE 8/3/18: Converse just dropped a video for the release. 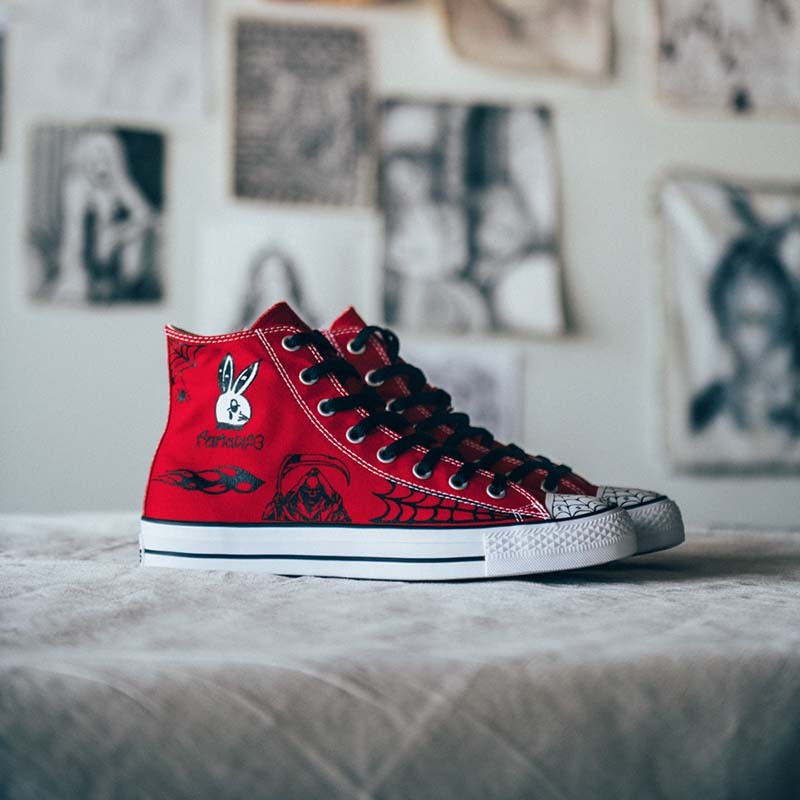 Sean Pablo customized a pair of Chuck Taylors with signature artwork inspired by his childhood in L.A. for his new signature shoe from Converse. 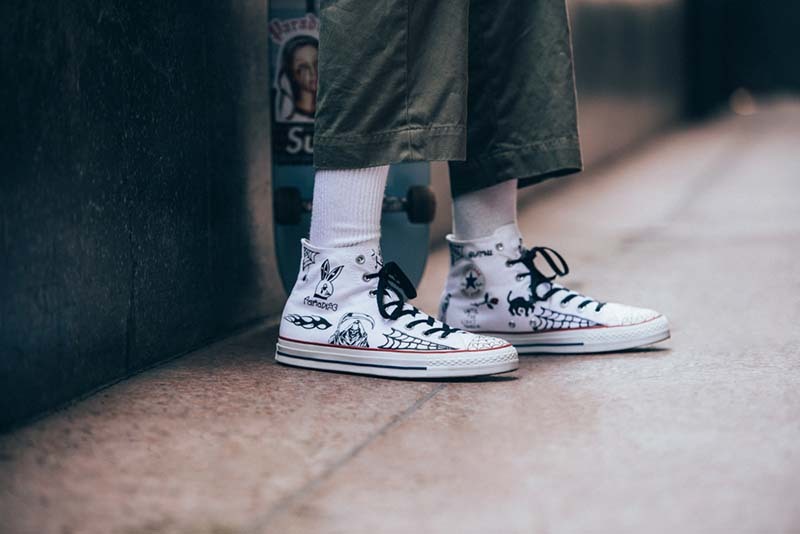 It features a CONS traction rubber outsole and dual density ortholite sockliner with zoom airbag in the heel which give it a little bit more under the hood than the average pair of Chucks. We’re sure that these will be selling like hotcakes once Supreme’s upcoming film is released. Have a look at more detailed photos of the shoes below. If you’re inclined to purchase, these will be available tomorrow via the Converse website. And if you’re on a budget, you could always just invest in a Sharpie and update your current kicks.